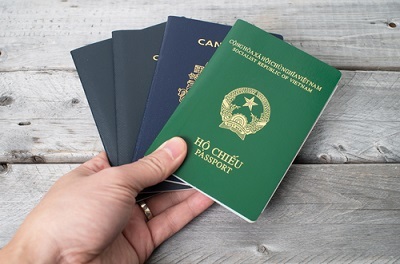 Dual Citizenship – What Are The Tax Rules? Every US citizen or green card holder is liable to pay US taxes, regardless of whether they are citizens of another country too. This is also true of foreigners born in the US, and children of US citizens born abroad, all of whom are technically US citizens (assuming that they have never officially renounced their US citizenship), even if they have never had or applied for a US passport, or if they haven’t even lived in or visited the US in decades. Boris Johnson, the Mayor of London, was born (to British parents) and lived in New York until be was 5. Never having renounced his US citizenship, over 40 years later he received a US tax bill on the capital gain he had made on a house in London he bought in the 1990s and then sold in 2009. After much deliberation, he ultimately paid up, so as to be able to visit the US again in the future. He later renounced his US citizenship, so as not to receive any more bills. The US and Eritrea in Africa are the only countries in the world that tax foreign income and investments based on citizenship rather than residence. Many US citizens who also have another nationality and don’t live in the US feel that the US government is culpable of overreach in this respect. They also resent the onerous burden of regulation, having to file a return, FATCA declaration, and FBAR annually, especially given the US’s long-standing tradition of individual freedom. US dual citizens who don’t live in the US and don’t intend to in the future can consider renouncing their US citizenship. Last year though, the IRS quadrupled the citizenship renunciation fee to $2,350, nearly 20 times the average of other advanced nations. You also need to have the last five tax years returns filed and all taxes paid to date. The bottom line is that if you have US citizenship, or a green card, you are liable to pay taxes in the US on your worldwide earnings, whether or not you are a citizen of another country and whether or not you live in the US. The good news is that the US has double taxation agreements with most other countries, so if you have already paid tax on your earnings abroad, you probably won’t have to pay again (depending on the rate of income tax in your country of residence compared to the US rate).